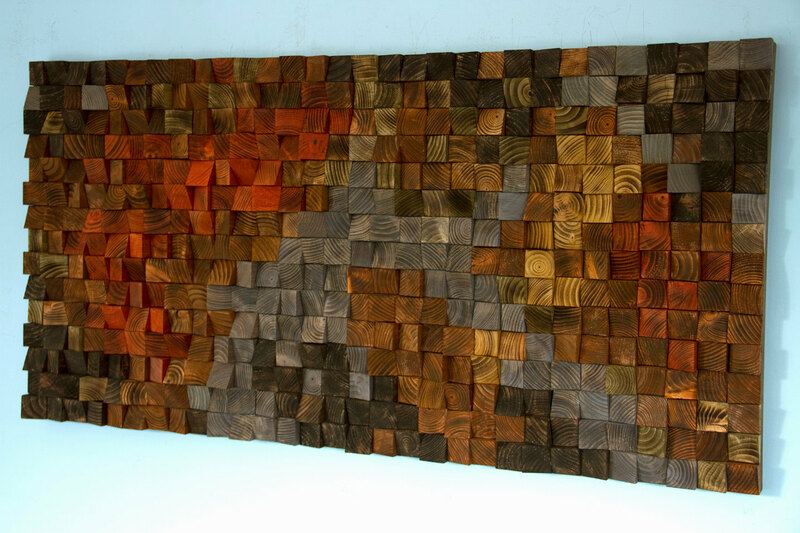 Wood Wall Art in fall 2016 colours, Modern wall sculpture, 3D triangles/trapeze, hand painted, woodburned, cut, dyed and sanded. 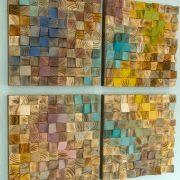 Each piece is painted in unique acrylic or wood dye colours mixed by me, and not available in any shop, making the sculpture unique and one of a kind. 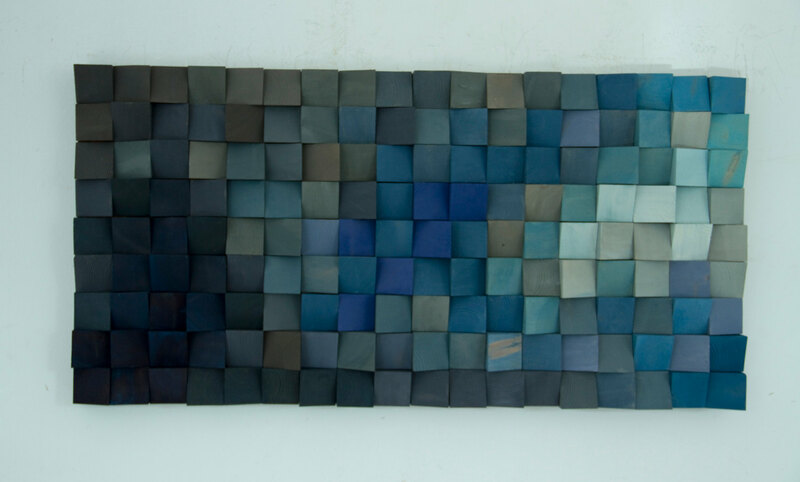 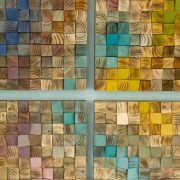 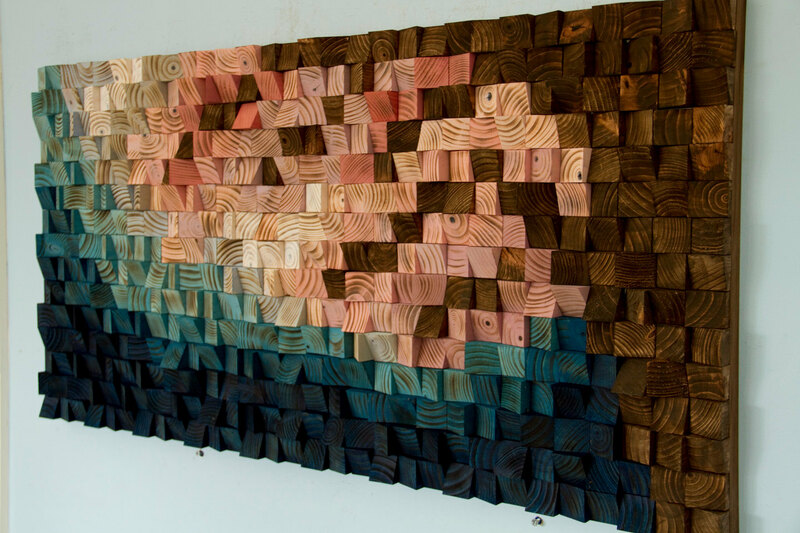 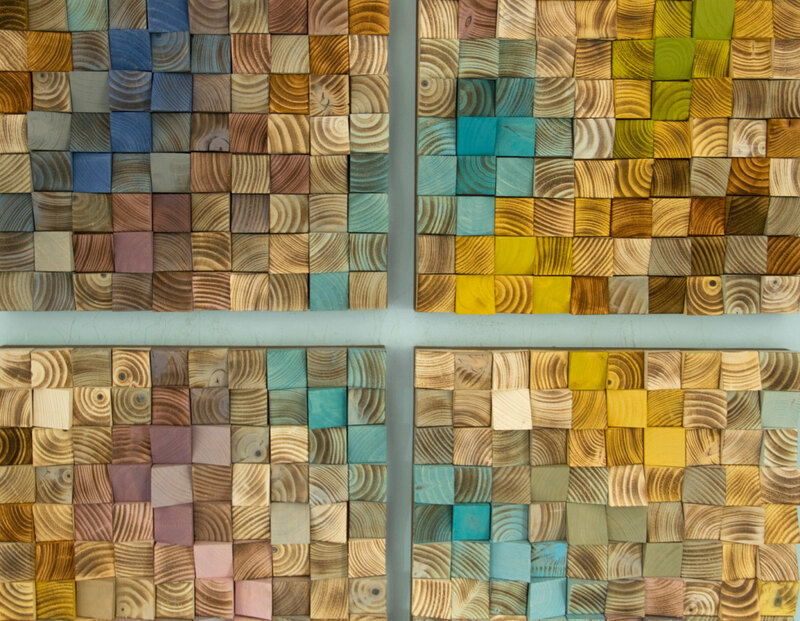 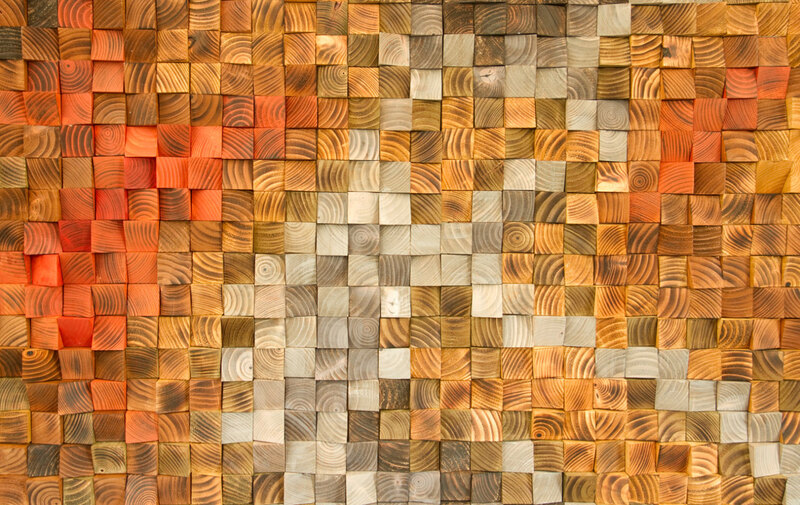 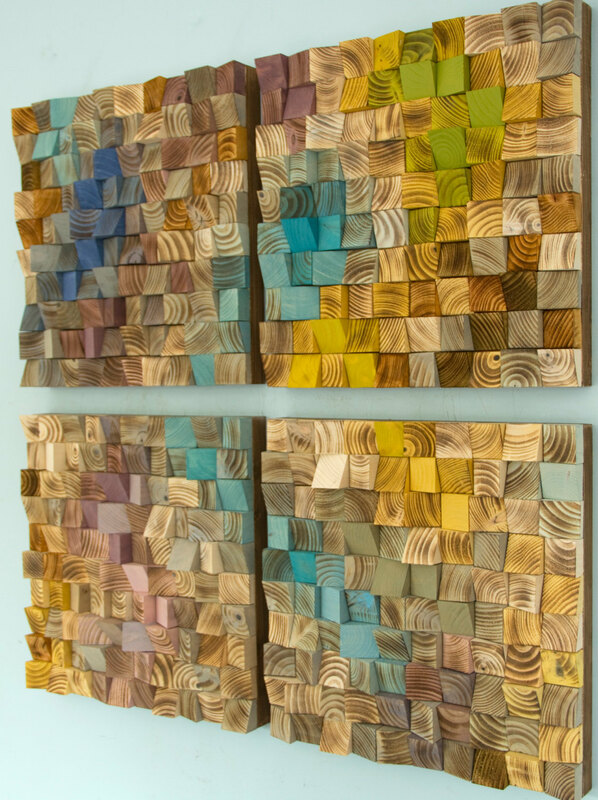 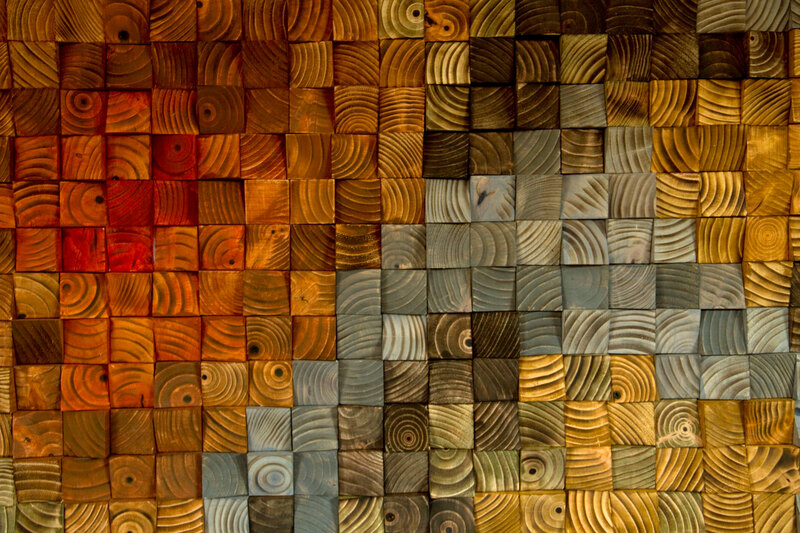 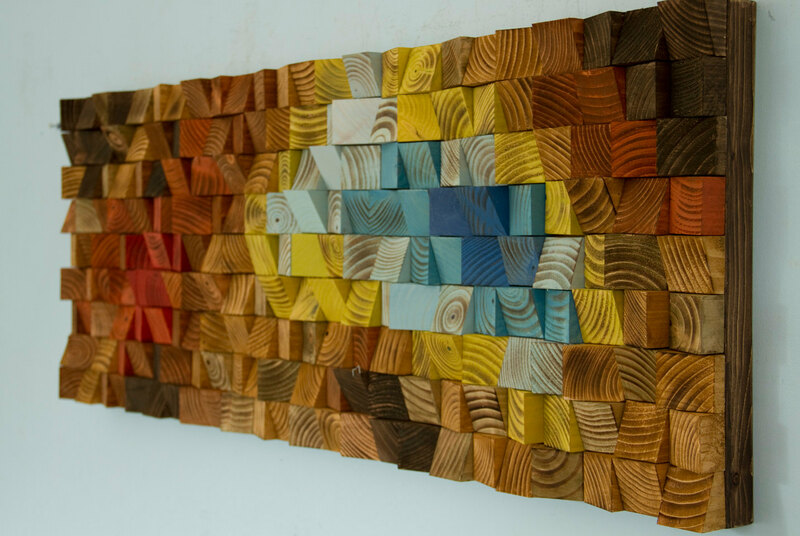 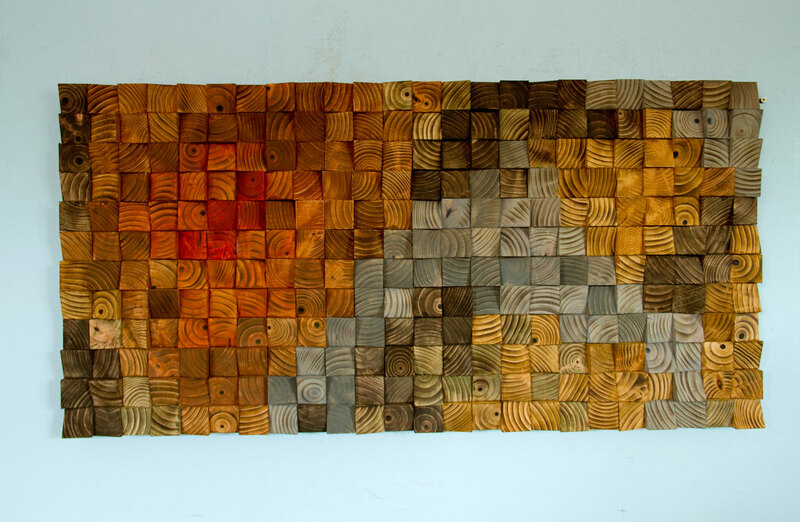 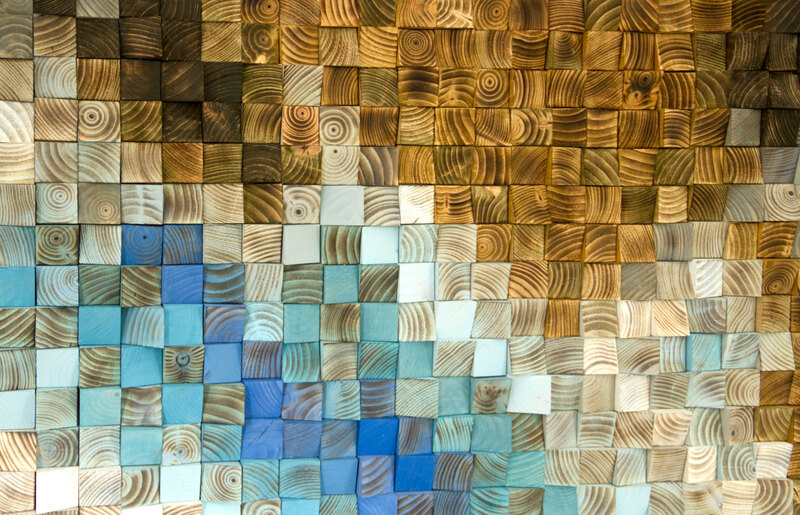 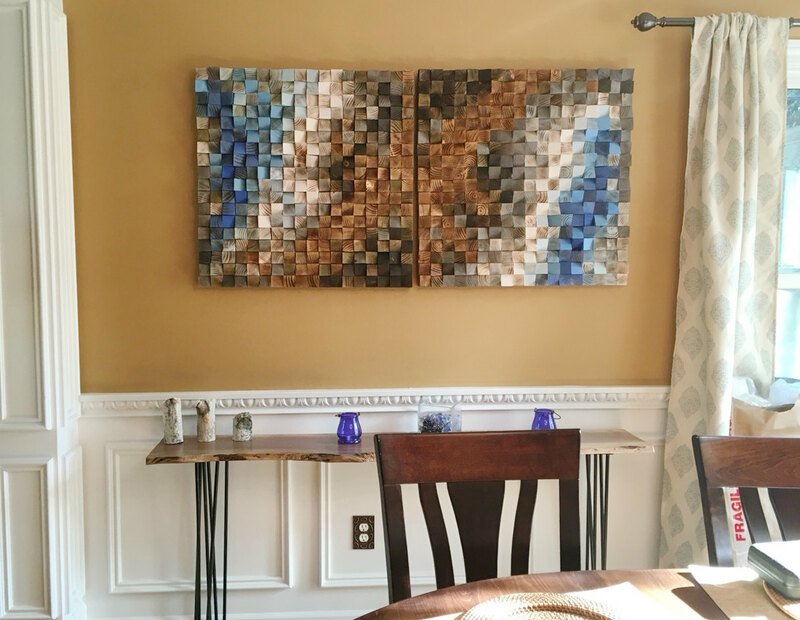 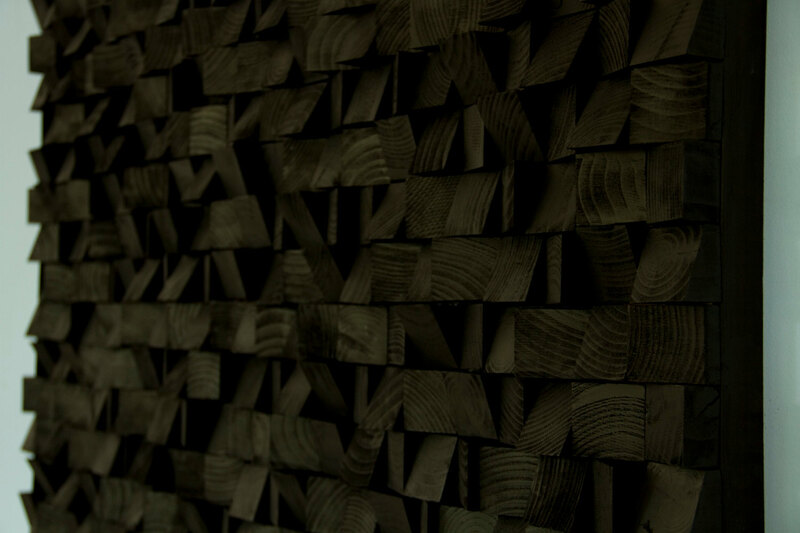 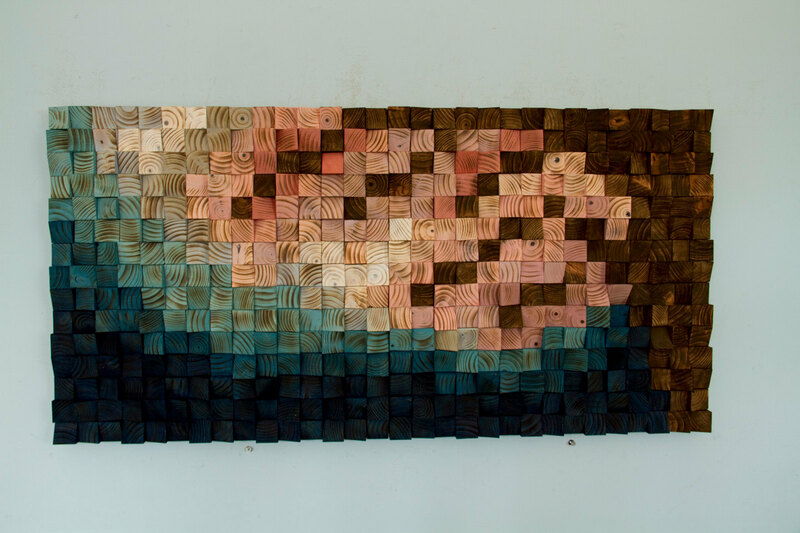 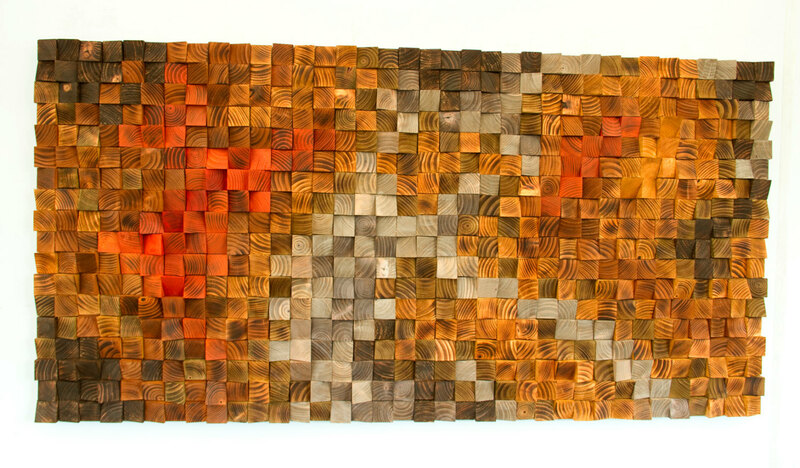 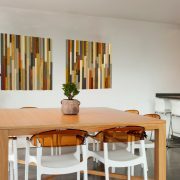 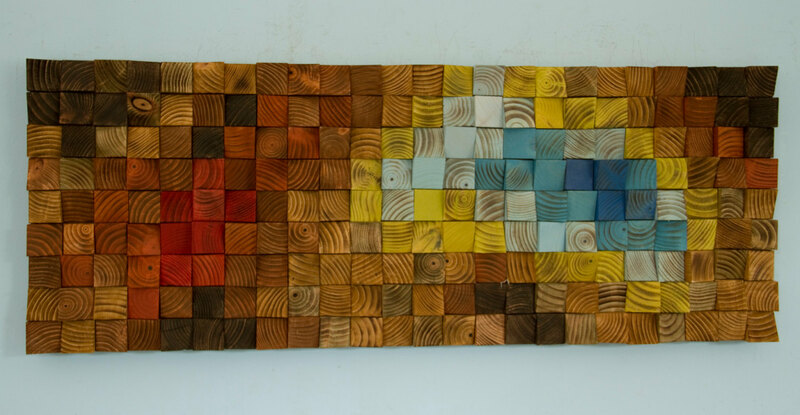 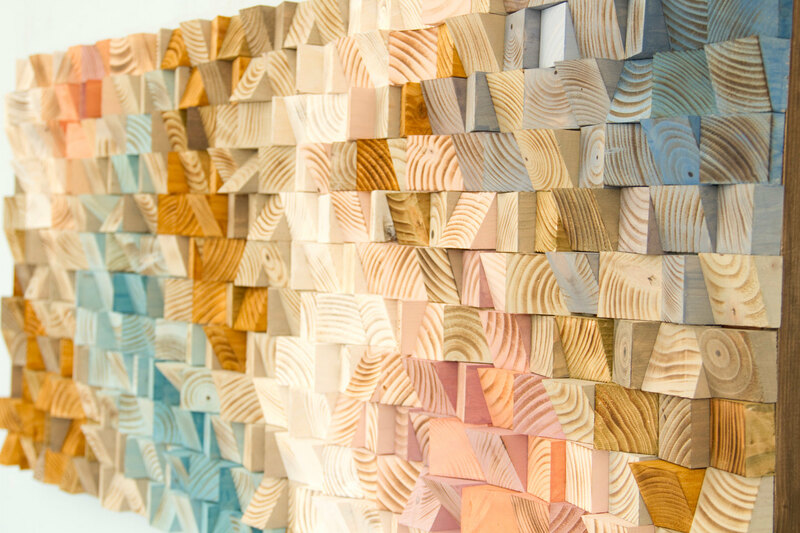 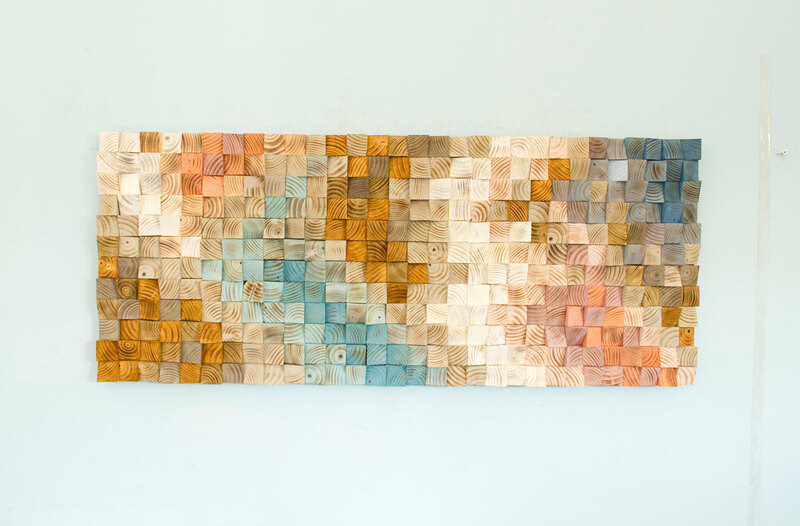 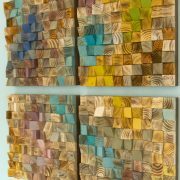 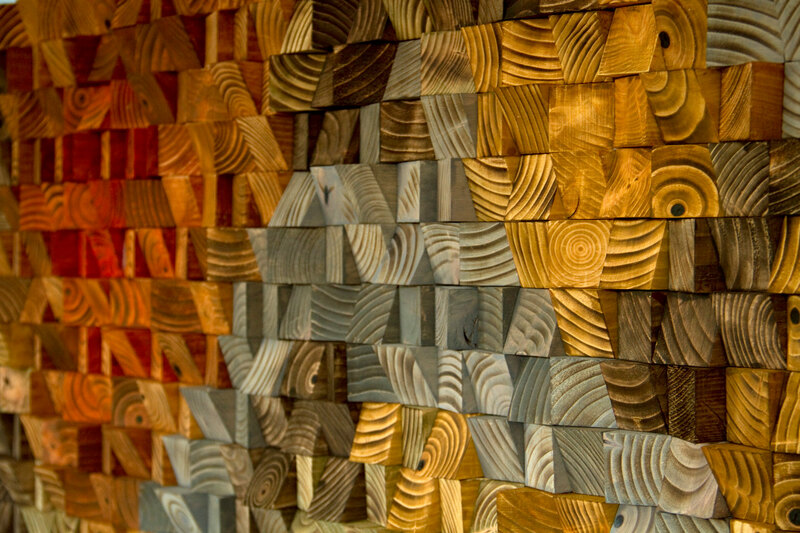 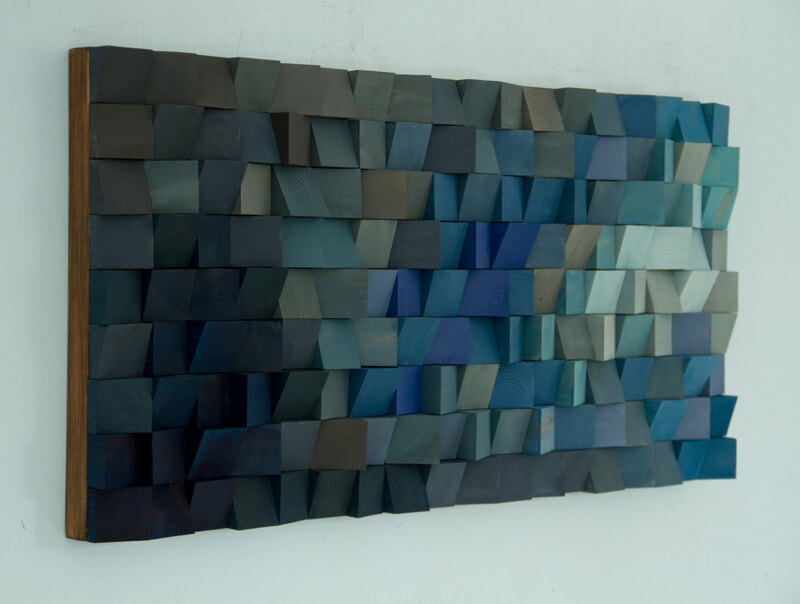 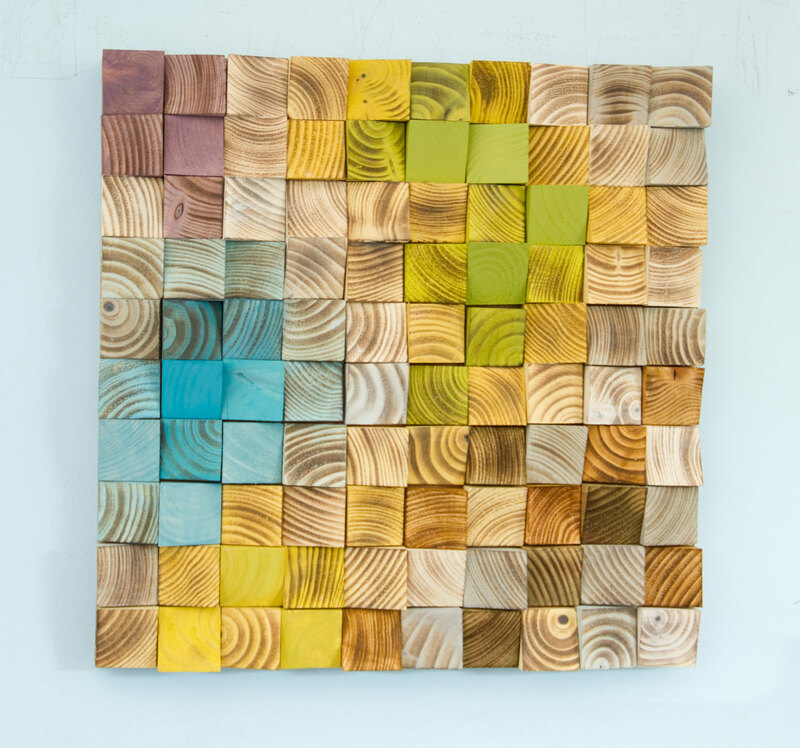 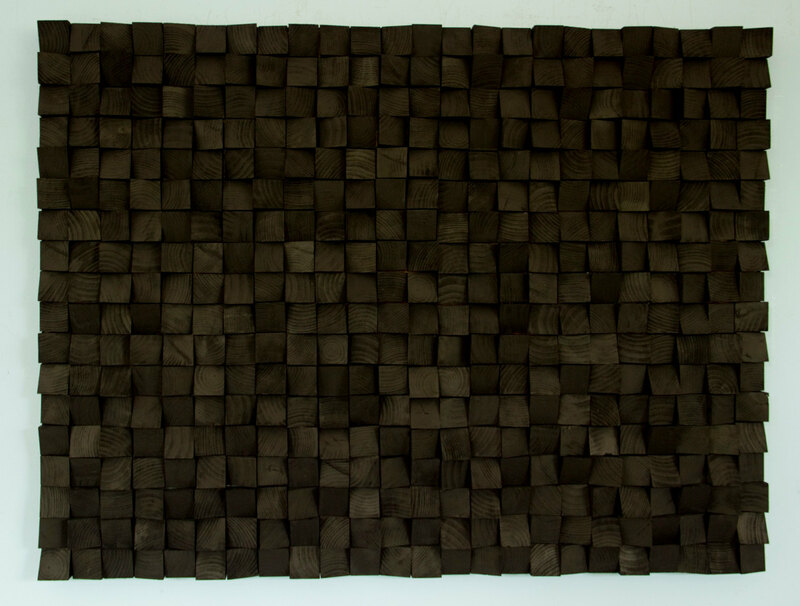 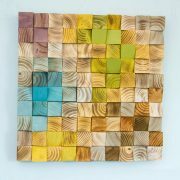 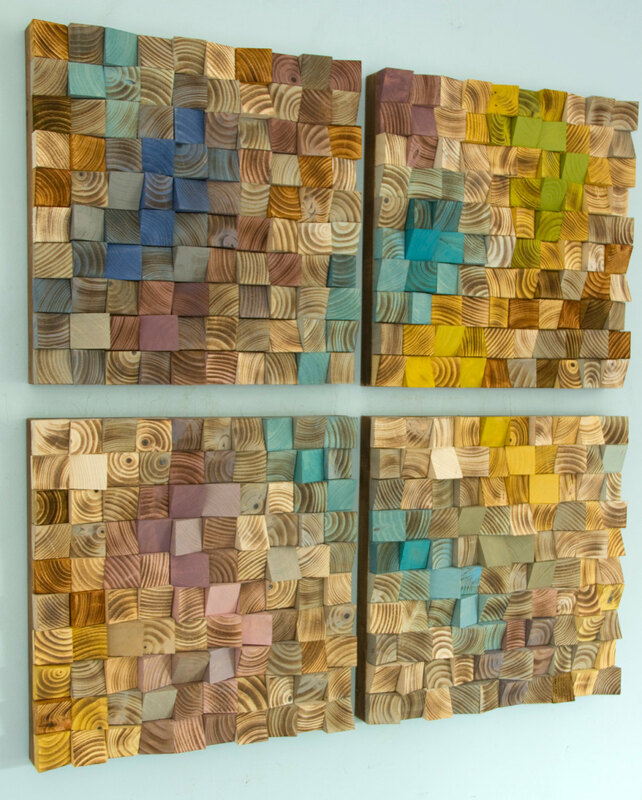 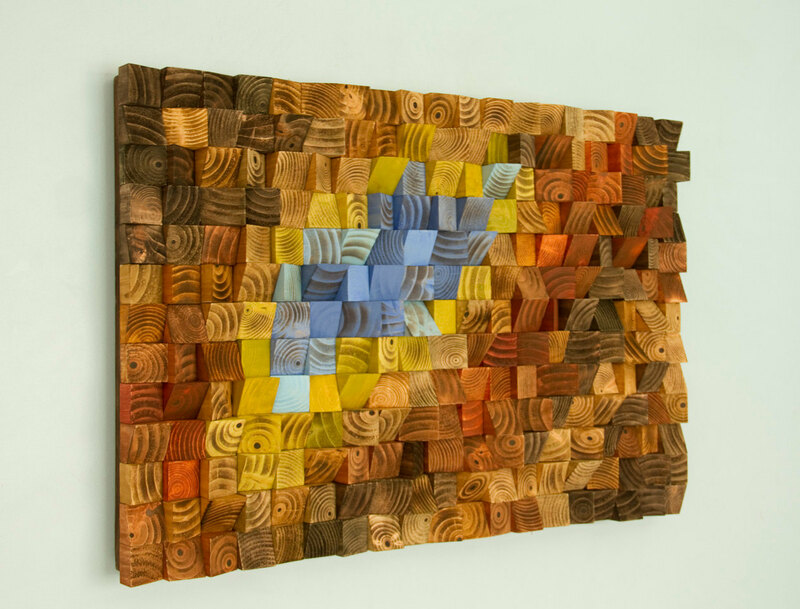 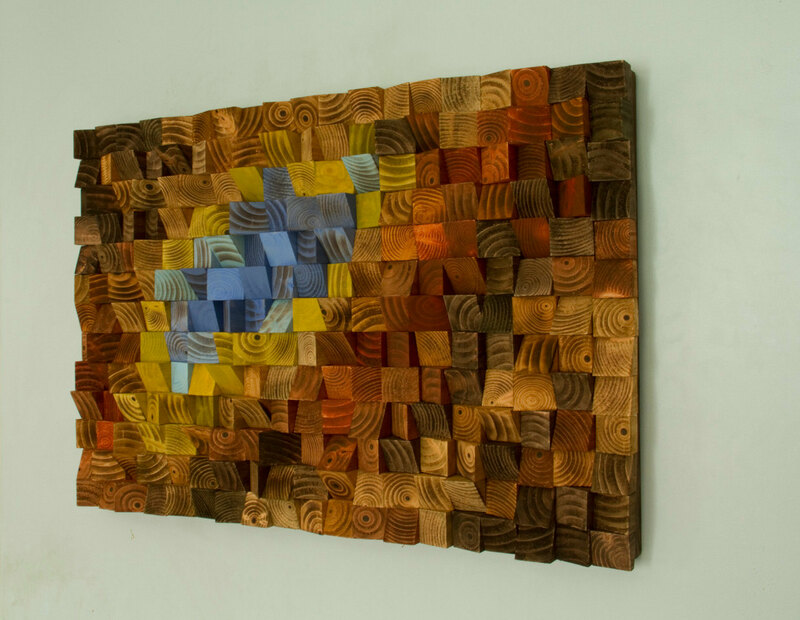 Each wood piece is cut into triangles, woodburned and hand sanded, dyed or painted to receive this modern abstract look piece. Wood pieces are painted in a special way that after assembling I create unique shape and the light is giving different shine by creating shade on each of mine pieces differently. 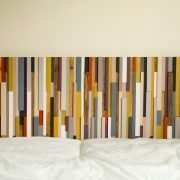 **** IMPORTANT**** due to high demand – current lead time is 3.5 months, check shop info page for updates. 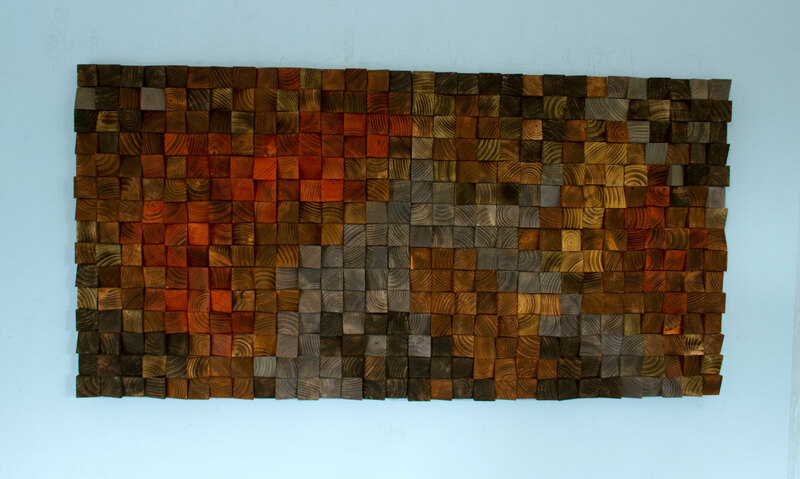 Sculpture can be build from 2 or more sets of to make it larger sculpture – ex. 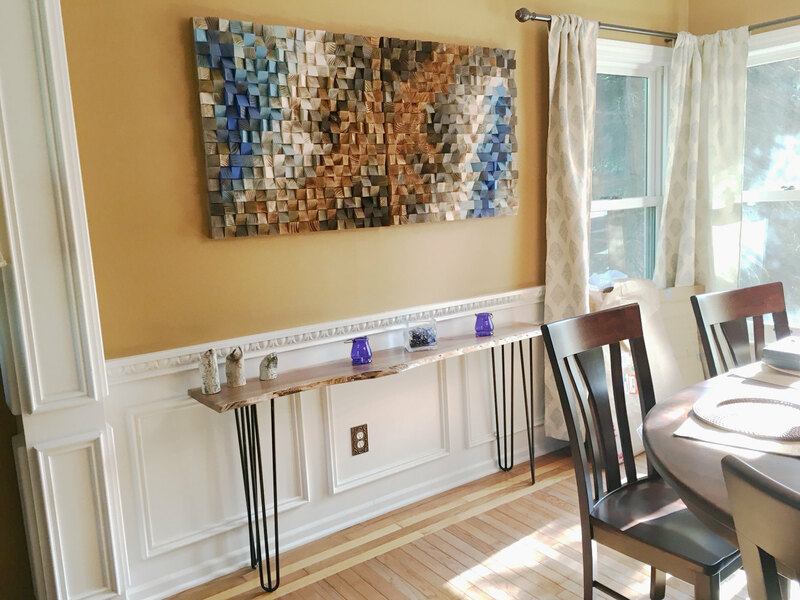 16" x 48" = 3 x 1" x 16"
16" x 64" = 2 x 16" x 32"
If you don't see the size you would like please choose to pay deposit and balance will be discussed in conversation. 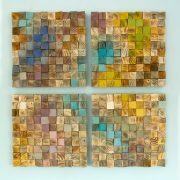 I enjoy of designing them to suit any room with size and colours, if you like to avail from this option please choose custom colours and leave a message at the checkout.